These industrial roller wheels are perfect for light duty and have load ratings of up to 210lbs depending on the size of the caster. 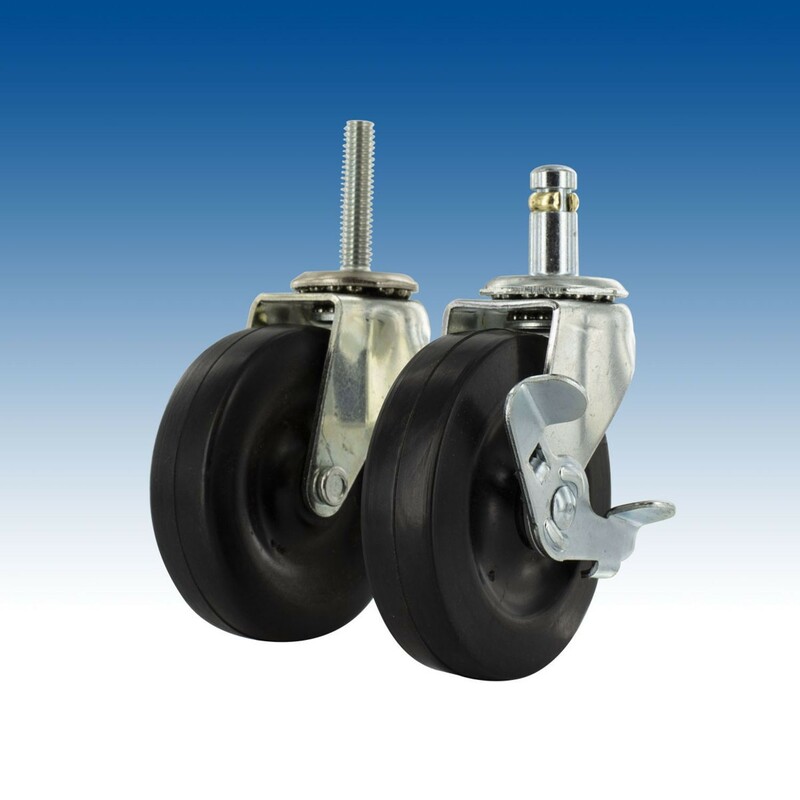 These casters also feature a swivel movement and are available with a brake option as well. Outwater stocks the Summit Series Industrial Casters in both our New Jersey and Arizona facilities in order to make shipping and delivery faster and more cost effective for all of our customers. The Summit Series industrial casters have a range of mounting heights available and if you cannot find the caster wheel that fits your needs, contact our friendly sales department to learn about other caster options.